Yeah I only have two screens as well. It /should/ work on an arbitrary number of screens though. SHOULD. My two screens were difference sizes too. Apart from small images upscaling which looks terrible, which means the images used must be high res. Will give it a try in a day or two when I get time. Will have to cobble together some bits and pieces to test. Should have three old working 17" LCDs (so may only be VGA but hopefully DVI) here plus a spare PC with onboard and a PCI-E GFX card. Will be 1, 4 and 1 around 3 walls. The big screen will be on the wall with the most clear space for running tutorials etc. At the moment we use a roll down projector screen which never seems to be quite clear enough for my liking. So a big LCD screen will be easier to see for everyone. One long wall will not be used as it has windows along it so unusable for mounting screens. I do think the boss is overdoing the sizes a bit. Given the room size I reckon 4 x 32 and 1 x 50 to 60 would be enough, but hey I just follow orders unless I have a major objection IT wise. Of course if we fail to get the grant all this falls through, which is a bleeding pain. Good luck with the project. I don't think 10k is enough given the prices of large screens over 30". I've just had a bit of a discussion with Aliali, and suggested the use of a cheap compute stick or an Android equivalent plugged into the back of each TV and auto-running a web browser full screen with each having its own homepage pulled from a local web server (a NUC would suffice) via WiFi. Or running custom software if that were deemed preferable. TVs can be gotten real cheap. 32" around the $200 mark, even 55" under $500. Of course they're yumcha and might last 5 years or less but still cheap. My olds Sony crapped itself so they got a cheap TCL... it's actually a nice looking TV with a decent stand and the overall quality looks above what you'd expect. The thing is though, for wall mount situations you need that capability plus you'd want a TV that still looks OK when wall-mounted and doesn't have superfluous bits of ridiculous looking trim. intriguing. it would solve the cabling problem in one fell swoop. i guess the images could be pulled by the clients or pushed to them. AJAX? it would be nice if the round robin slideshow continued seemlessly when the central TV is commandeered. First thought is that it's a bit weird to have "a bit of a discussion" outside the thread? This is another good solution though, but it complicates things quite a bit over using a single system with multiple displays attached. You have a lot of "moving parts" so to speak. Using AJAX would give a satisfactory result (your server side loop would essentially do what my application does, running a 'sliding window' over a list of images), but since the first "A" in "AJAX" means asynchronous, you'll still get the individual units drifting out of sync over time. Aliali and I live within a brisk walk of one another and I volunteer at the place this set-up is intended for, I hadn't been paying any attention to this thread prior to our discussion Today. well then, perhaps they could display the images to the beat of synced system clocks. a few ms drift here and there shouldnt make any difference. each client already has ALL the images, but during each round of 6, it receives a new image number, cues that image, pings back an acknowledgement to the server, at which point the server increments a counter. all clients then display their cued image synchronously at the next appropriate time (ie. when [current time - start time] mod [slide viewing time] ==0). whenever the server fails to receive an ACK from a client it does not increment the counter before attempting to send to the next client. if comms are lost, or if a clients browser page/tab is not active, it will not receive an ACK from that client. the timings of each communication would need to be slightly staggered to fit within successive windows of time windows 1/6th the viewing time for each slide. but correct me if i am wrong, with any modern WiFi, even with 6 channels hammering away and the occasional dropped packet, this should be more than enough time, right? Ok got it running on an older AMD FX box running Win 7 I have here. 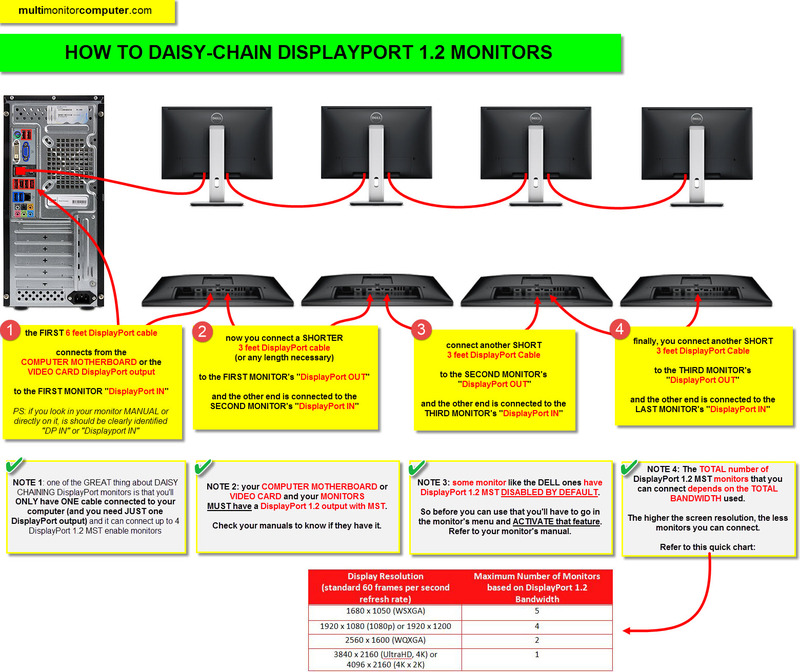 Onboard HD3000 is driving two monitors via DVI and VGA. So far so good except for one little problem. Shutting the PC down it complains about SlideShowDealie still running so will need a way round this I suppose. If the comp is shutting down at set times with task scheduler I suppose another task to close Slideshowdealie before shutdown? The downside to this setup I suppose is lack of flexibility. I just know the boss will ask me if we can have separate image streams on each monitor. Eg one monitor showing regional attractions, one monitor showing a local photographers pictures, one monitor show centre opening times. Etc etc. People just love to complicate things. May just have to say can't be done. :P.
use sleep instead of shutdown? I guess the app SS wrote when running is bashing the cpu and gpu a bit and windows has trouble killing it. Maybe the app just needs a kill command hotkey combo. OK, sure. I didn't test that scenarios, so apologies for that. As a guess it's probably just due to how Windows communicates "I'm shutting down" to applications. I think my "don't accidentally close one of the slave windows" routine is probably blocking it. Edit: Program now exits properly when it detects that Windows is shutting down or logging off. Goddam it Squall how do you do that so quick? Ye I know. Definitely not intended as a criticism. In fact it's a positive IMO. To many times I see solutions for specific problems that seem to overcomplicate things and try to be all things to all people. Your code is exactly what I asked for, with no "oh he might need this" bloat. Hope to get time for a few more words with the boss tomorrow. Trouble is she is normally flat out when I am at the OAC (online access centre) where I volunteer. Worst comes to worst if she wants something different later on then we look at how that can be done. Oh for sure. Just working out the quote and may have to get the boss to reduce what she wants to do as I am running up against the limit pretty hard. Surprising how quickly $10,000.00 gets eaten up. Initially I thought easy peasey to fit it all in but when you start adding incidentals like long HDMI cables, wall mount brackets etc the cost escalates surprisingly quickly. Talk to Todds HiFi if there's one near you. Their margins are pretty big and packaging is what they do best. 6 TVs and mounts is going to make you popular. i don't 10K might be enough if you start adding unexpected extras. Unfortunately in Tassie so quite limited options to buy locally. I've actually had a lot of experience with their own brand of TV's. No complaints, and when ihad a mobile phone break from them, warranty was long, but 0 drama.